Calling all Hitchcock “Birds” Movie Buffs: CALIFORNIA LIVING ® host Aprilanne Hurley invites you to tour Potter School House in Bodega, California – the infamous “School House” in Hitchcock’s 1960’s thriller “The Birds” Labor Day Weekend on Sunday, September 6, 2015 at 10 a.m., 11:30 a.m. and 1:30 p.m.
Purchase Potter School House Tours tickets online now. Watch California Living® “Birds Movie Scene Tour” Travel Special Thursday, September 3, 2015 on ION Television. 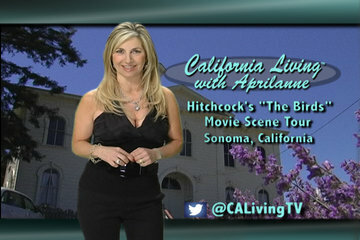 Click here for California Living® TV Broadcast Channel info. 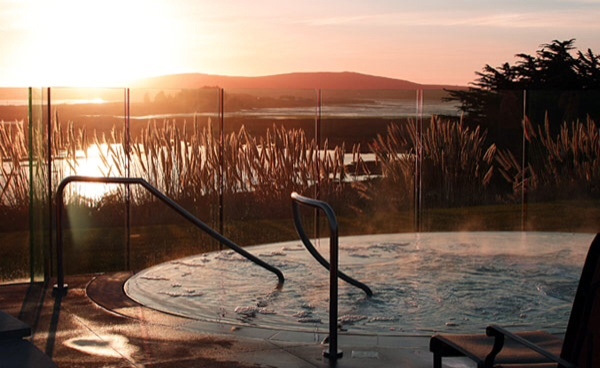 CALIFORNIA LIVING® sets the stage for a “Birds Weekend” in beautiful Bodega Bay, California, in CALIFORNIA LIVING’s “Birds Movie Scene Tour” Travel Special airing on ION Television. Viewers are in for a unique entertainment treat jam packed with Birds Movie history, trivia, and thrills when they tune-in for the CALIFORNIA LIVING™ “Insider’s Guide” to the major filming sites in Alfred Hitchcock’s famous 1960’s thriller “The Birds” located in the unique town of Bodega, and coastal areas of Bodega Bay, California. The ‘inside look” at ALL of the major filming locations of Alfred Hitchcock’s 1960’s thriller “The Birds,” including Inn at the Tides in Bodega Bay, Potter School House and St. Teresa’s Church in Bodega, California, Mitch’s Ranch site…and more. An overview of the unique inland town of Bodega – home to Potter School and St. Teresa’s Church, one of the most famous Bird’s movie filming sites. Fun “Birds” movie trivia in this CALIFORNIA LIVING™ Destination Bodega Bay, Calif.
California Living® spotlights a fabulous getaway at the Bodega Bay Lodge & Spa on the beautiful Sonoma Coast. INSIDE LOOK TV, LLC & CALIFORNIA LIVING® extend a special thank you to the Bodega Bay Lodge & Spa and The Bodega Bay Area Chamber of Commerce (BBACC) and chamber president, Sissy Blanchard. log on to: VisitBodegaBayCA.com – your #1 OFFICIAL resource for information on Bodega Bay lodging, businesses, and events. Aprilanne Hurley’s Party Girl Diet book available on Amazon.com. 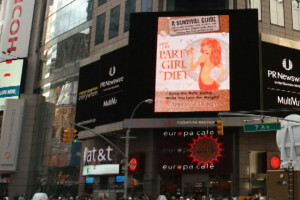 California Living® with series creator and host Aprilanne Hurley is an Inside Look TV, LLC Media Production sponsored in part by Hurley’s best seller The Party Girl Diet, the revolutionary California lifestyle inspired life plan that lets you “keep the party going…while you lose the weight.” Check out great Party Girl Diet recipes and quick workouts @ PartyGirlDiet.com.